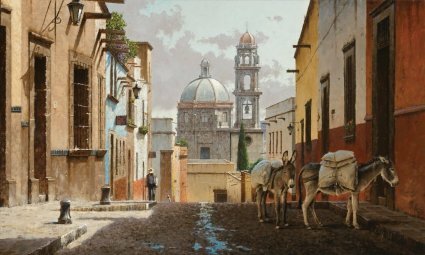 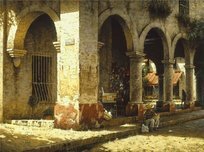 Born and raised in north-central Texas, George Hallmark was an architectural designer and commercial artist before turning to easel painting. 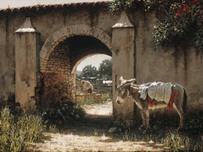 Hallmark was voted the official Texas State Artist in 1988. 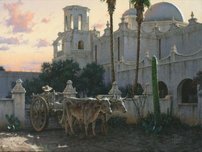 George Hallmark's work hangs in many prestigious private and corporate collections, including those of Texas Instruments, the Medical Heritage Collection, the Texas Capitol, MBNA, and the Capitol in Washington, D.C. George Hallmark is an honorary lifetime member of the New Mexico Military Institute Alumni Association. 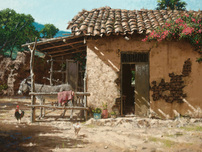 Hallmark's work has been featured in Art of the West, Southwest Art, and U.S. Art magazines. 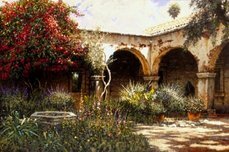 George Hallmark is an annual participant in the Prix de West Exhibition and Sale at the National Cowboy and Western Heritage Museum in Oklahoma City, and the Masters of the American West Fine Art Exhibition and Sale at the Autry National Center in Los Angeles.